Only hours left for the 5 day early bird sale. Hurry! Sale finishes at 11.59pm on Sunday 28th of May. Time is running out fast! 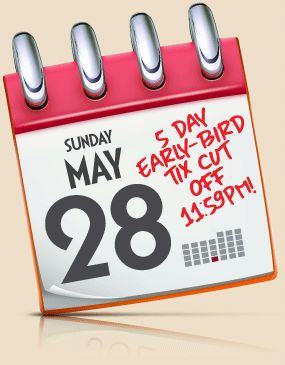 Only hours left for the 5-day early bird sale. Hurry! Not another email about tickets from Bluesfest? Not to worry; this will be the last one about 5-day early bird tickets! Promise. 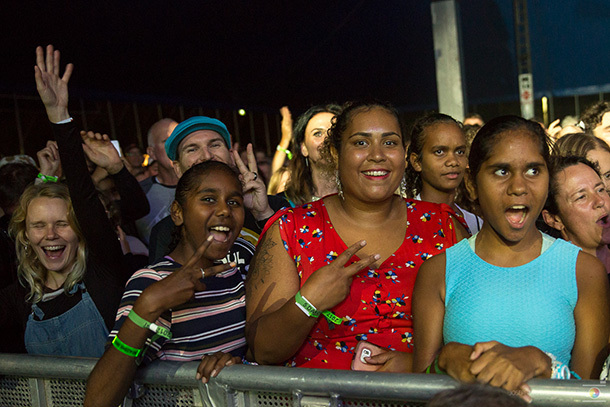 The good news is that although we have run out of 5-day early bird tickets, we were able to add another small allocation, so you all still have a small window of opportunity to jump on the Bluesfest wagon, but from Monday morning these tickets will never be available at this low price again. Please note: on the day our last sale ended, our system went into complete overload, so it’s best NOT to wait until Sunday night and lock your 5-day tickets in beforehand. Bluesfest 2018 will deliver once again up to 12 hours of music per day, across 5 undercover stages with up to 45 performances per day, an abundance of food and market stalls and a multitude of bars. Rest assured we are already working around the clock on a huge line-up of the most amazing artists to grace our stages in 2018. 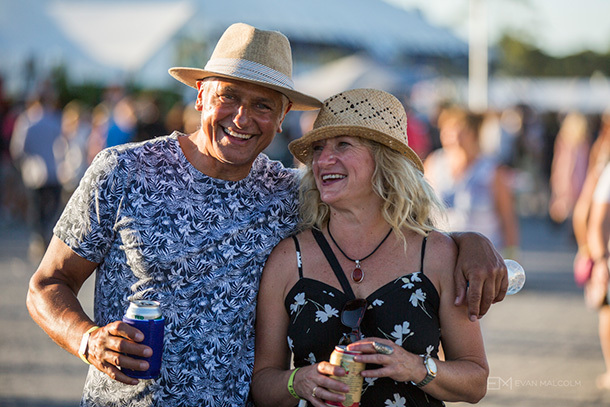 Right now a Bluesfest Adult ticket is only $425, which is only $85 per day. An absolute bargain and if you miss a day, you don’t even have to feel guilty :-). This ticket will end up costing $630, if not more, depending on the magnitude of the 2018 line-up. For the first time we have introduced a youth ticket which means if you are over 15 years old, you are able to enter the festival by yourself, walk around alone or with your mates, but have to stay clear of the bars. Plus the ticket is also a bit cheaper than the adult ticket. It’s now only $405 which is a mere $81 per day. This ticket will end up costing $615 if not more, depending on the magnitude of the line-up. If you camp, you don’t have to leave the entire time you are at Bluesfest. Well, maybe for a stroll and swim in our beautiful town of Byron Bay. Camping at Bluesfest turns the festival into a home away from home. 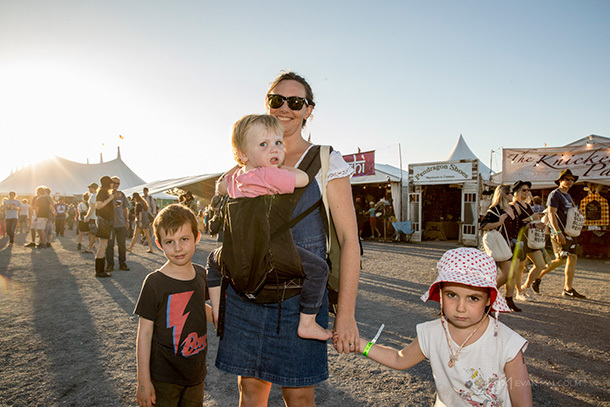 If you are traveling with your wife / husband / mate / boyfriend / girlfriend … you name it - the Bluesfest Buddy Pack is hands down, the best value. You are only paying $133 per person per day for 5 days of Festival Fun and up to 6 nights stay at the campground adjacent to the Festival. Yes, as a 5 day Camper, you can arrive the day before (Wednesday 28th of March) and get set up. If you are booking a 5 day Buddy Youth Pack (if you are between 15 and 17 years old) you are only paying $113 per person per day. You are right in the heart of Bluesfest with everything right there! A Buddy Adult Pack costs only $1,270 for 2 people, but this ticket will end up costing $1,680 if not more … again depending on the huge line-up we are in the process of confirming! Very exciting times ahead. 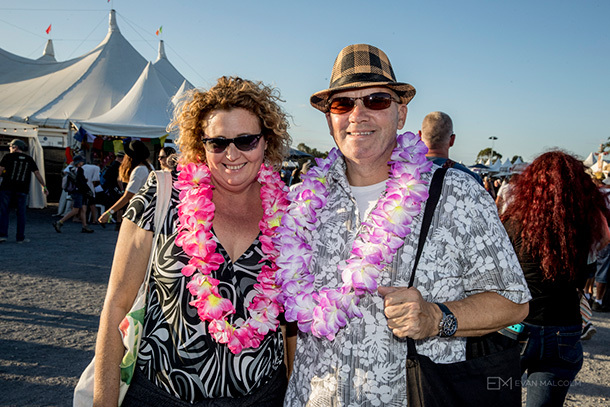 This special ticket gives you access to the Bluesfest VIP Lounge - enjoy the ambiance of the Bluesfest VIP area, relax on comfortable lounges, purchase premium drinks straight over the counter and have access to extra restrooms. It's the ultimate chill-out area, the perfect place to hang out with your friends and also enjoy the secluded garden area. There will only be a strictly limited number of tickets available to the VIP Area. Right now a 5-Day VIP Ticket is only $275 but will increase to $320 very quickly! Tickets are for 18+ only - no children or babies are allowed in this area. If you are traveling alone and camping at Bluesfest, no doubt you will meet a lot of like-minded people. Our motto is ''camping without cramping'', and we allow as much space possible for everyone. As a 5-day camper, you are welcome to arrive earlier (Wednesday 28th of March) and set up your home away from home. 5-day camping tickets are only $240 right now and will go up to $280. It just keeps getting better! The Tent Motel is becoming more popular each year, so much so we have added extra tents to keep up with demand. It’s not surprising because you arrive and have your tent already set up. It includes an awning, carpet, 12v light, stretcher beds and roll up windows – all you need to bring is your own bedding. They have been selling like hot cakes already and will continue to do so. Right now a 2 people Tent Motel is $325 (per Motel) but will end up costing $400 pretty quickly! Right now a 3 people Tent Motel is $355 (per Motel) but will go up to $475 very quickly! So many of you love staying in the Tipi Village, enjoying a unique, premium accommodation experience. 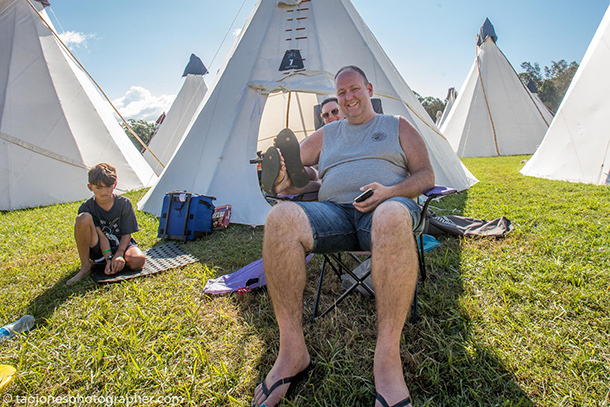 All Tipis are pre-assembled, so you just have to arrive and check in. All you need to bring is your own bedding. It’s a very special place right in the heart of Bluesfest. Tipis are very limited, so if they take your fancy lock yours in now! Which Tipi should you choose? There are three options to choose from: The larger 18ft Tipi that is perfect for 4 people, or for a family or a group of friends and will sleep a maximum of 5. The regular 18ft Tipi, is ideal for 2 to 3 people that prefer extra space when they are camping and The smaller 16ft Tipi that is a great option for 2 people, for the romantic couple or those who don't like to share, this option will sleep a maximum of 3 people. Leaving the best for last! 5 Star Accommodation for 5-day Festival and camping ticket holders only. Camp in style at Bluesfest in the exclusive Flash Camp situated within the festival grounds! Flash Camp is perfect for the festival goer who wants to be amongst it all while having a luxurious base to retreat to at the end of a big day. To check out the beauty of glamping click right here. 3 Day Tickets will go on sale soon! 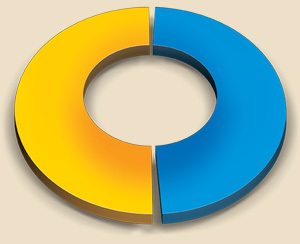 Did you know that Bluesfest has up to 90 different ticket types once everything is on sale? We had to do a bit of a clean-up, as there were just too many, so there will be no 3 day or single day Buddy Packages available. Buddy Packages are only available for 5-day ticket holders and if it was said before, here it comes again. Buddy Packs and all 5-Day Tickets are at the very best value right now. Don’t miss out – as the 5-day tickets are already way over half sold out!